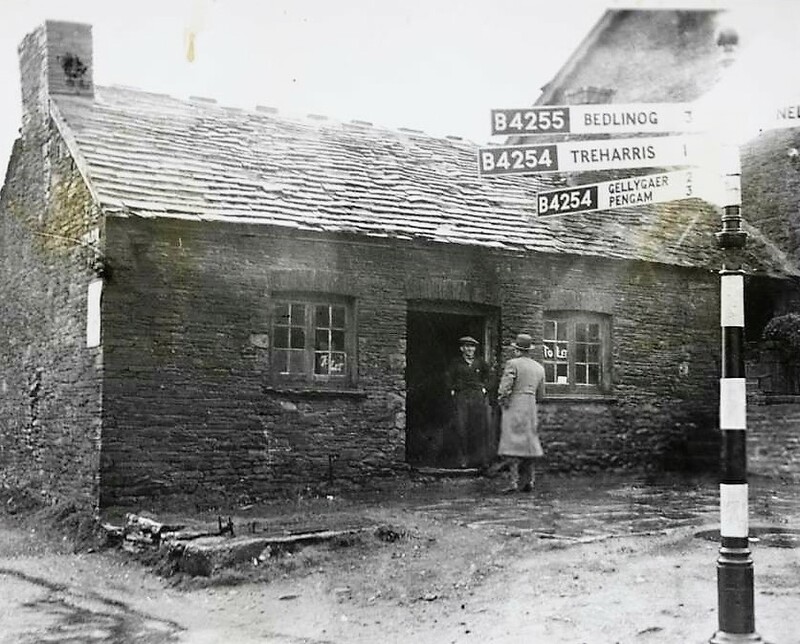 One of the oldest buildings in the District is on the Border of Trelewis and Nelso on the road to Gelligaer…Efail Shingrig the home of the Blacksmith. 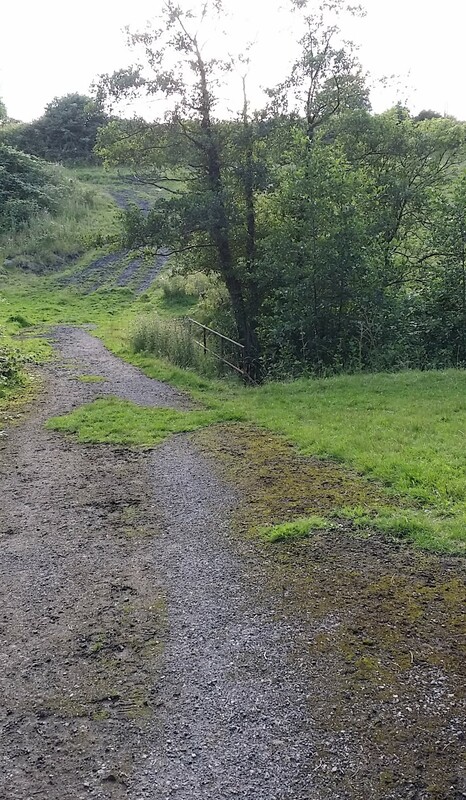 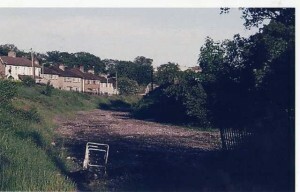 The Pandy quarry was located between lower Trelewis and Pentwyn, Quakers Yard. 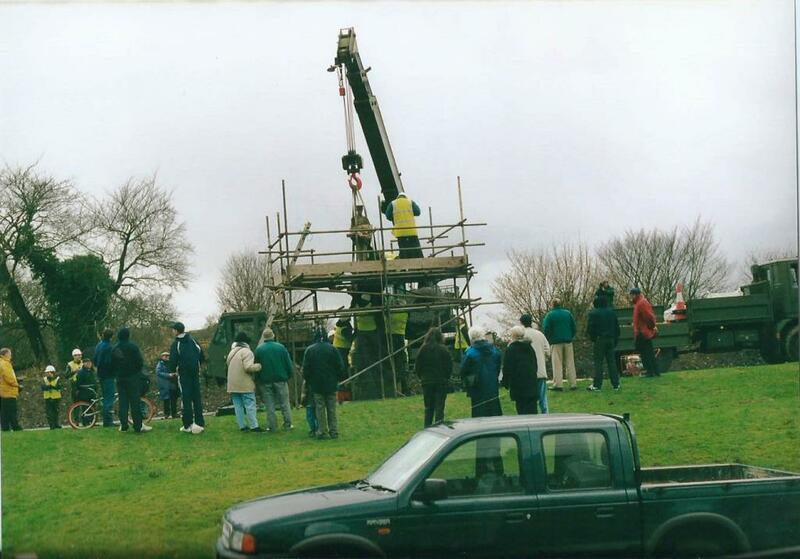 It can be traced back to the beginning of the last Century…I can remember it in the 1970’s, it was a small lake in those days with the top of a rusty old crane visible, lost in the middle of the pond. 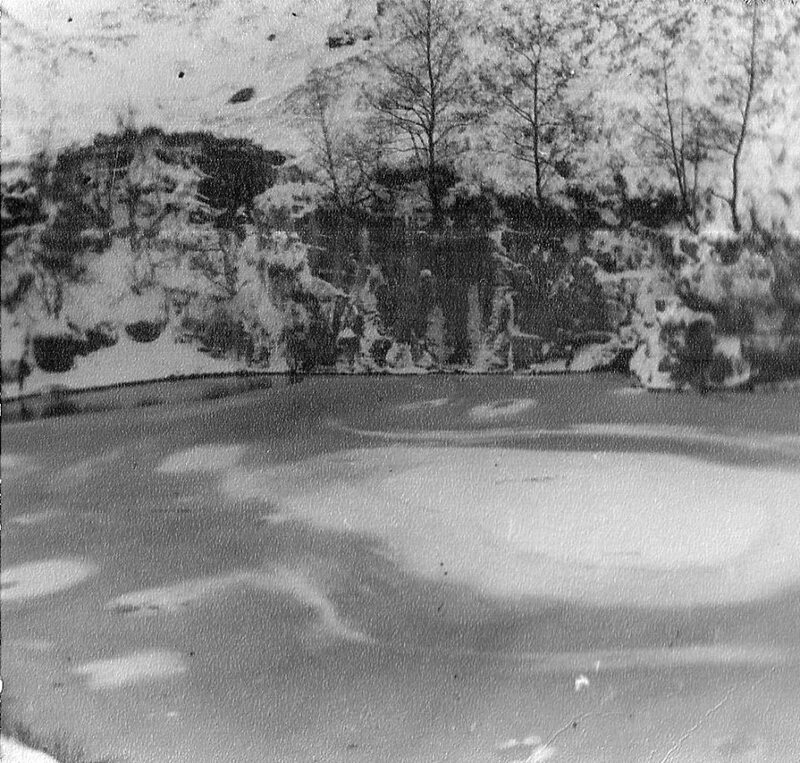 Many of the youngsters took the risk of swimming in the deepish water during the summer months, whilst others used to fish there, the most I ever caught were toddlers like minnows and sticklebacks. During the early seventies thousands of tons of waste coal and slag was dumped into the pond, eventually turning it into a large hilly areas which remain Today. 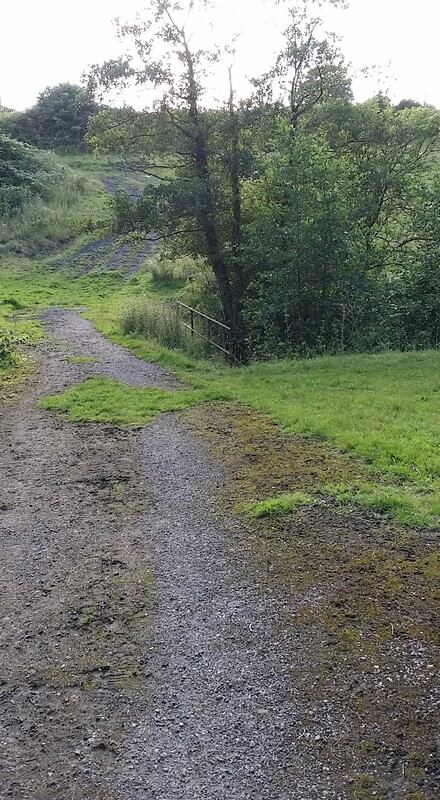 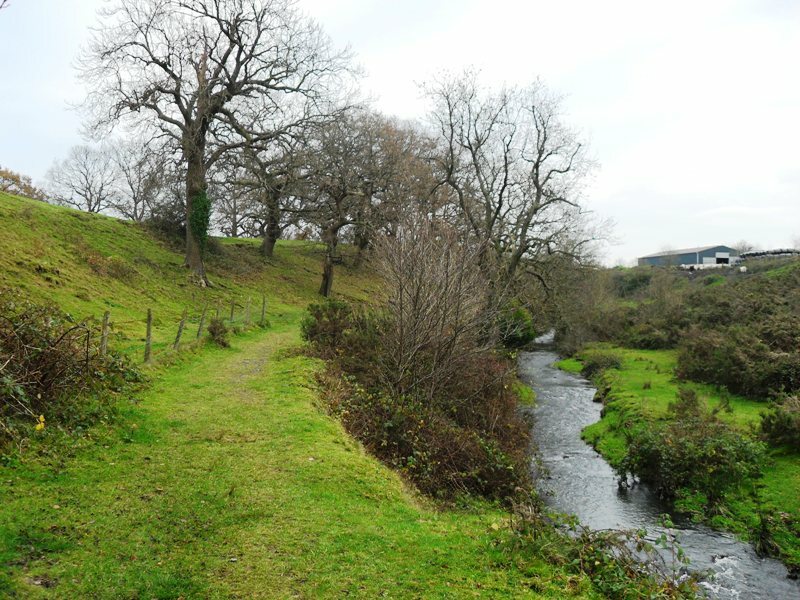 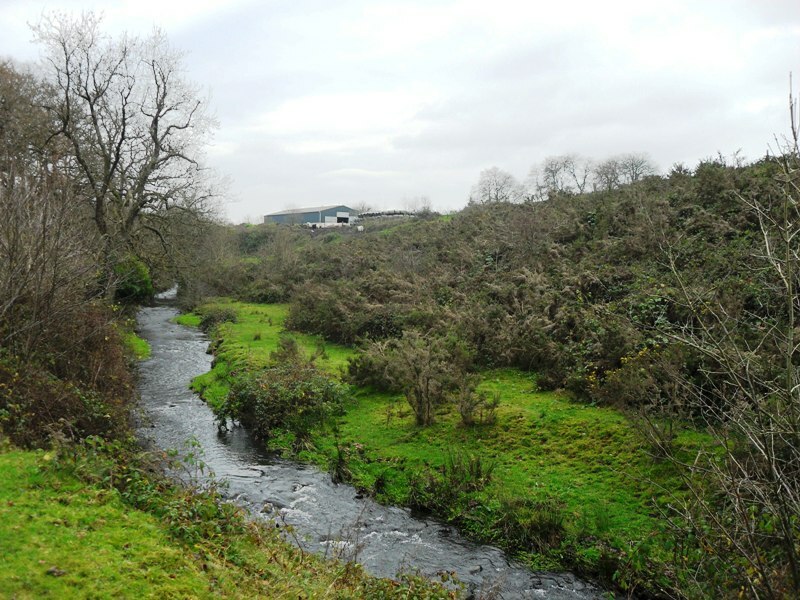 There is still the small stream that runs happily through the Pandy, winding its way down to the Mill road and joining the Taff Bargoed river from Bedlinog before hitting the whirl pool at Quakers Yard and joining the main River Taff. 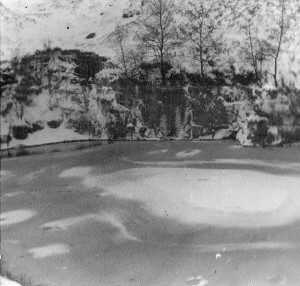 The Pandy could be a dangerous place but it was also a place of many happy memories for the people of our district.Next year I will get some better up to date photographs of the Pandy area to add to these ones. William Humphrey born 1797 ish, married Ann Williams born 1798 in May 1820. 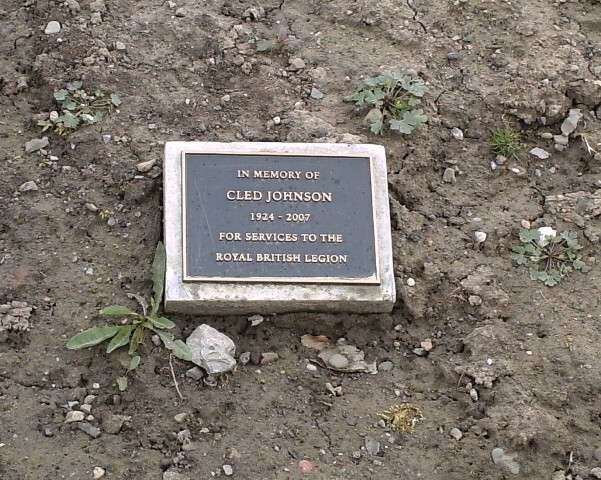 Alfred, a new addition since the census ten years earlier, aged seven. 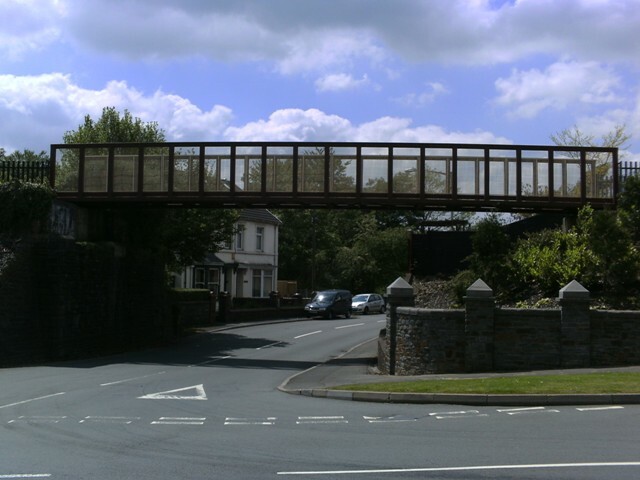 Their daughter Sarah mentioned in the 1841 census is still at home but now with a husband Williams Williams, born 1825 in Carmarthenshire, and is a cordwainer. 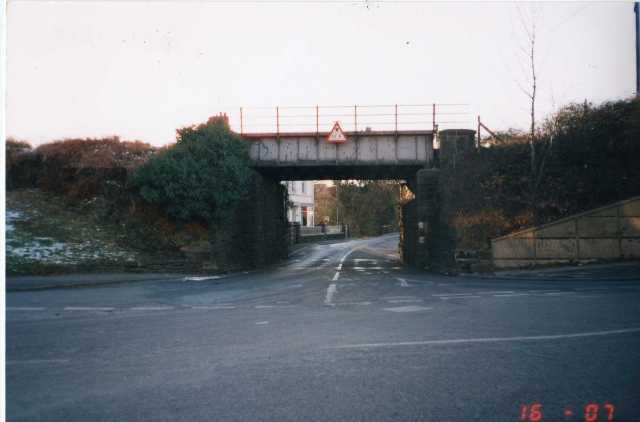 They moved to Nantgarw about 1855. 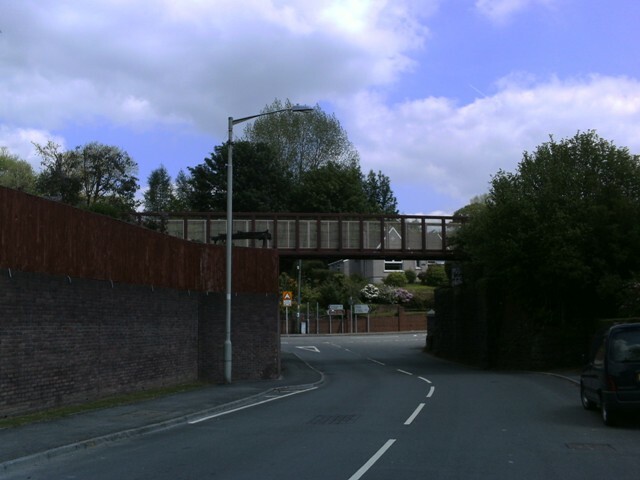 By this time William Humphrey has died and his wife Ann has also moved to Nantgarw to be near Sarah and the son-in-law William. 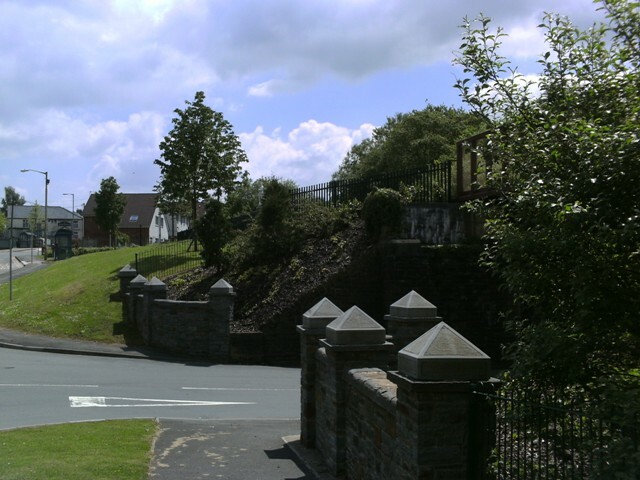 1861 Census and Ann has moved to Brecon Road, Merthyr Tydfil with three of her sons. 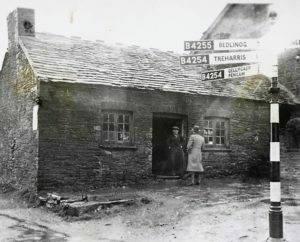 David, 38, Benjamin 21, and Alfred 17 and the boys are all weavers. Ann is listed as a flannel manufacturer and has two servants. 1871 Census Ann is still in Brecon Road and is a Draper. 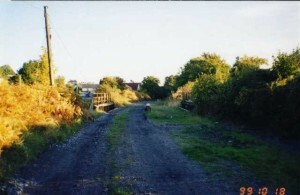 her son David lives with her. 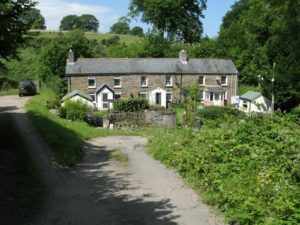 Next door to their home is a woollen manufacture it is possible, David still a weaver worked there. 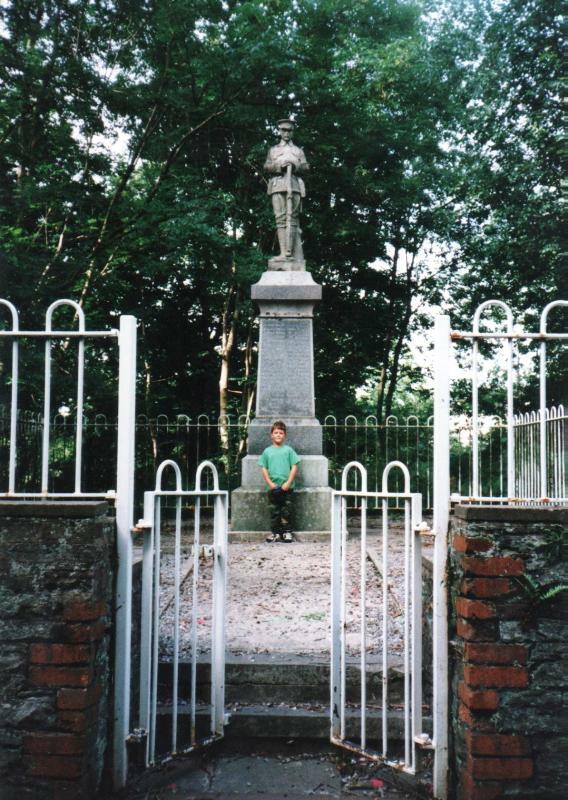 Ann died aged 82 yrs in April 1881. 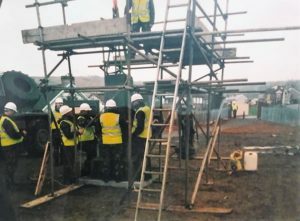 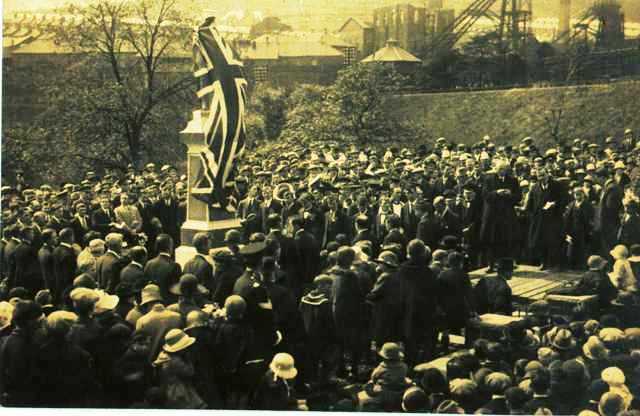 The community of Trelewis showed great commitment to its past heroes, by finding the funds to arrange for its war memorial to be moved to a more suitable venue. 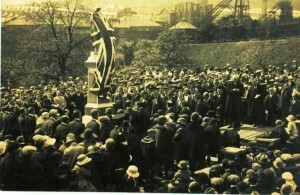 Sunday May 31 st 1925 was a proud day for the people of Trelewis. 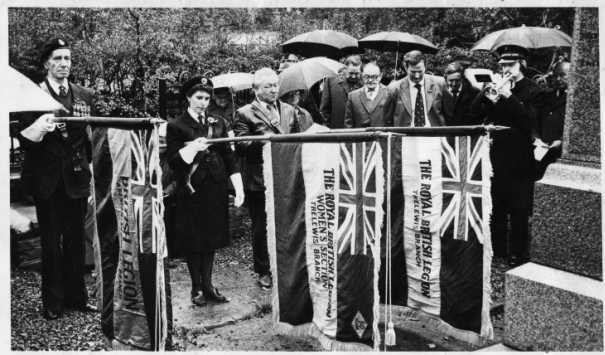 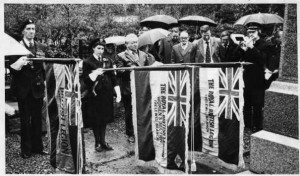 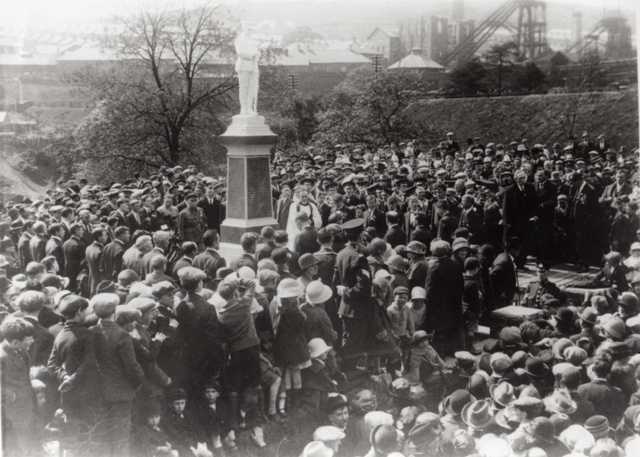 As many as 3,000 people stood in silent admiration, when the union Jack was unfurled to reveal a majestic and beautiful monument; the little mining town’s tribute and memorial to 45 gallant men of Trelewis who laid down their lives in the Great War. 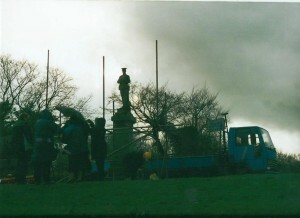 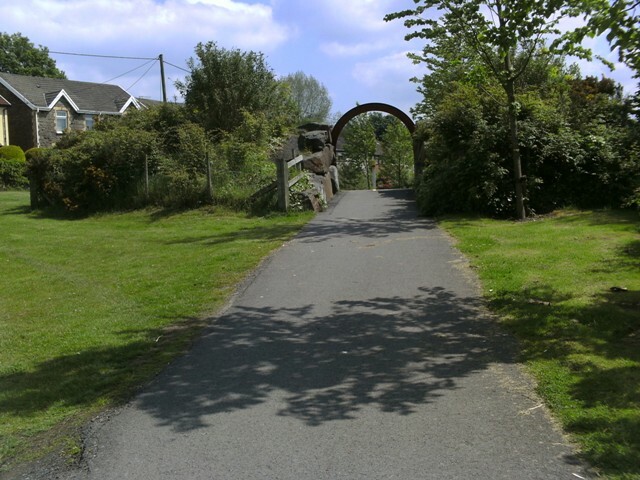 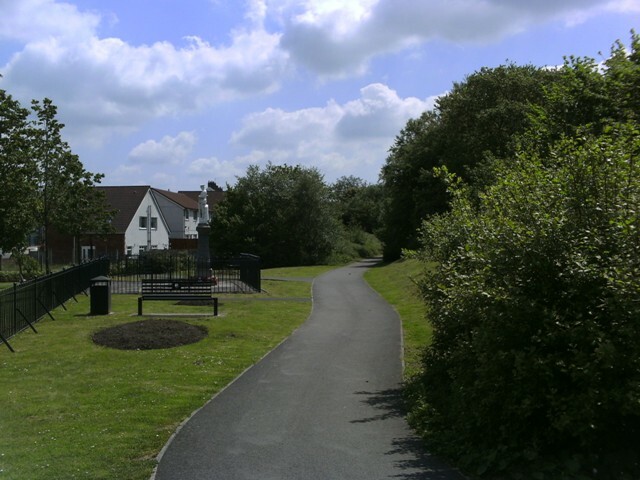 The Trelewis War Memorial was erected by public subscription, its original location was chosen as a peaceful place away from the industrial mining of the valley. 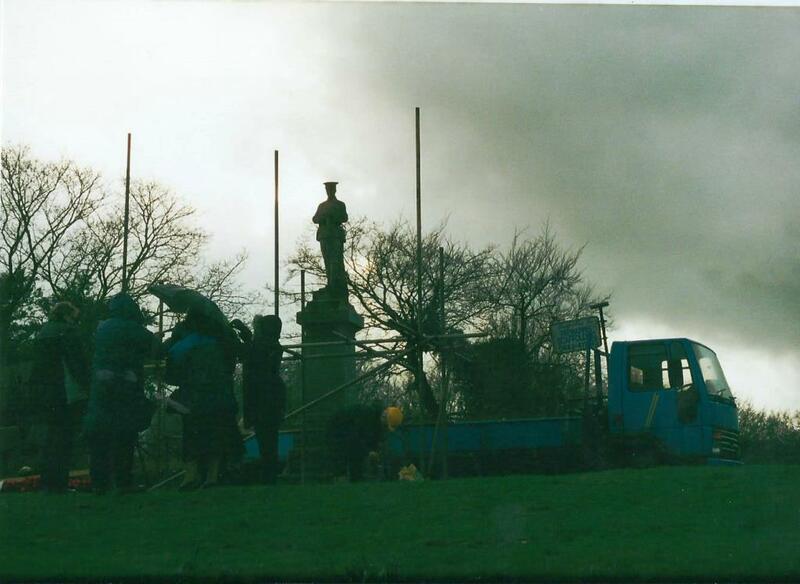 By 1999, the memorial had become isolated, due to the closure of the mines and the re-shaping of the landscape, it was also suffering some vandalism and generally it was starting to look unkempt and neglected. 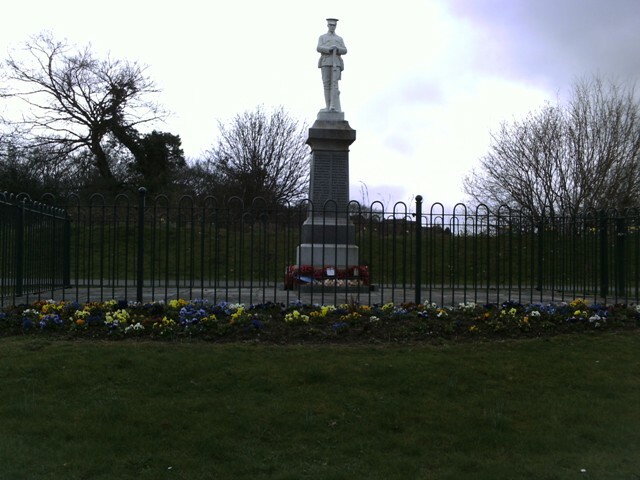 The Ladies section of the Trelewis British legion proposed that the Trelewis War Memorial should be re-sited from its original Captains Hill site to a different area of the village where it could be better appreciated. 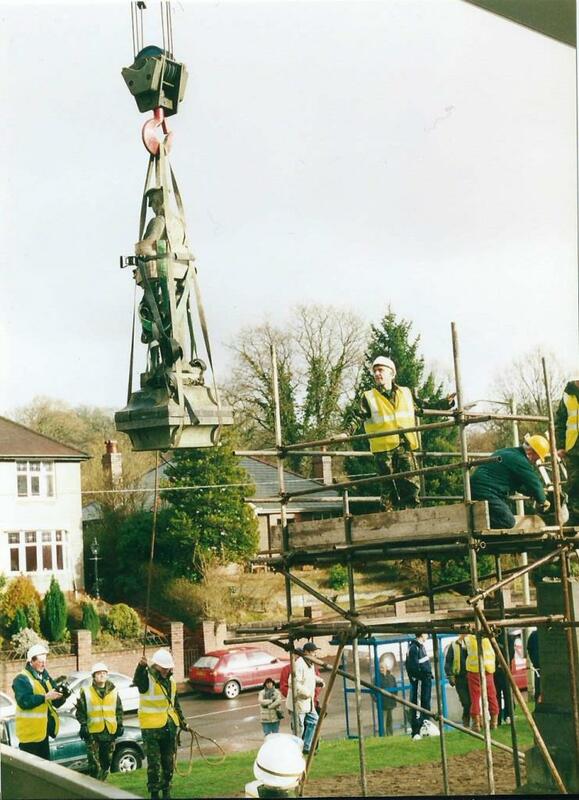 A team of Royal Monmouthshire Engineers stepped in to move the statue to its new home near the Ffladcaiach Inn. 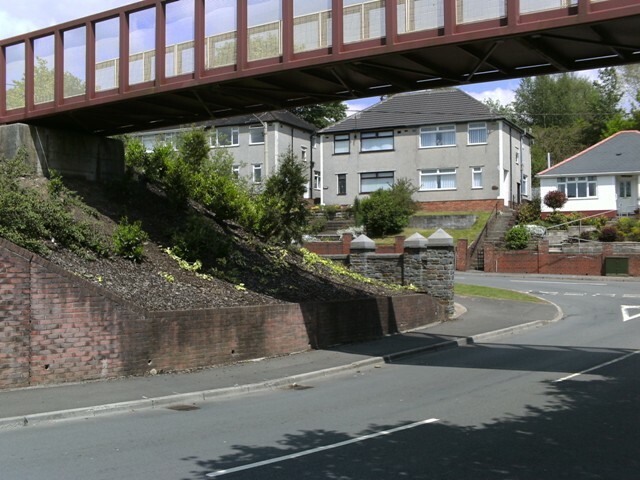 Book 4 Valley lives Merthyr Tydfil county library. 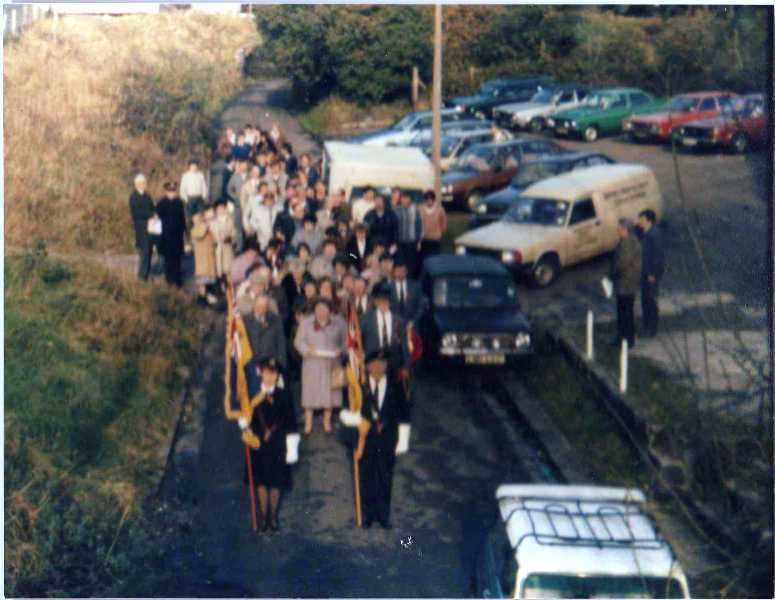 Bob(Aberfan standard bearer) Daphne Gunning, Bill Holton, Islyn Carlick, David Jones,Brian Jones, Joe Kabut. 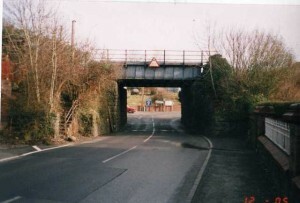 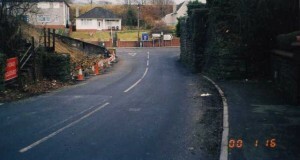 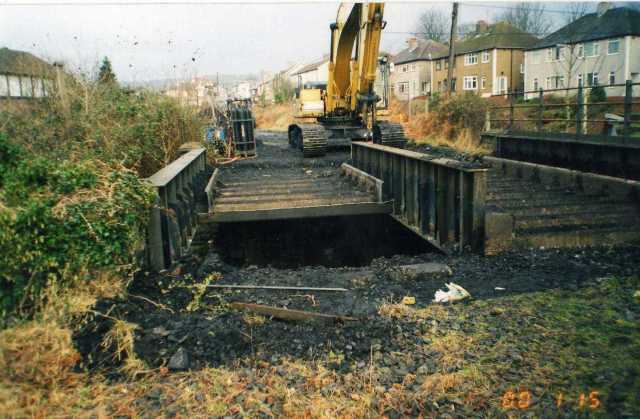 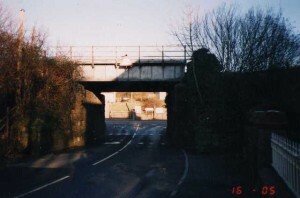 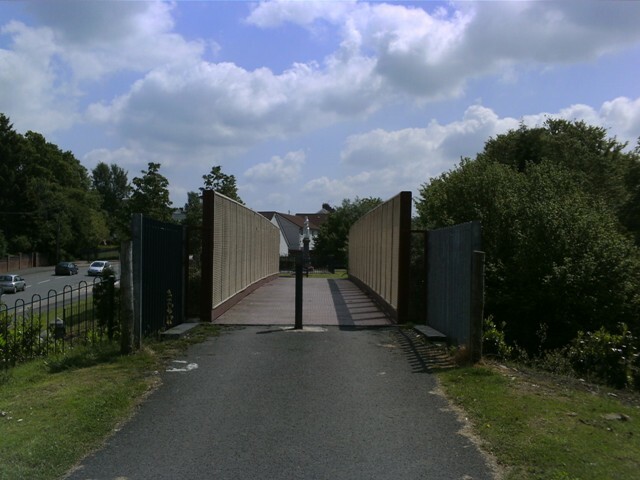 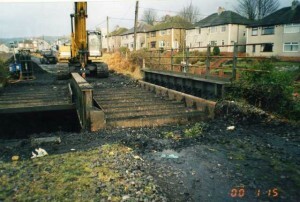 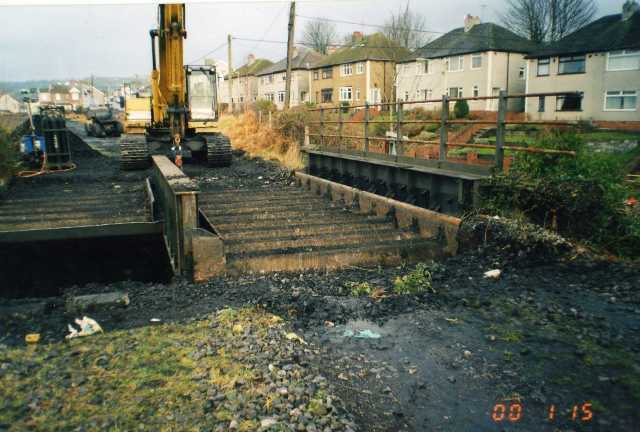 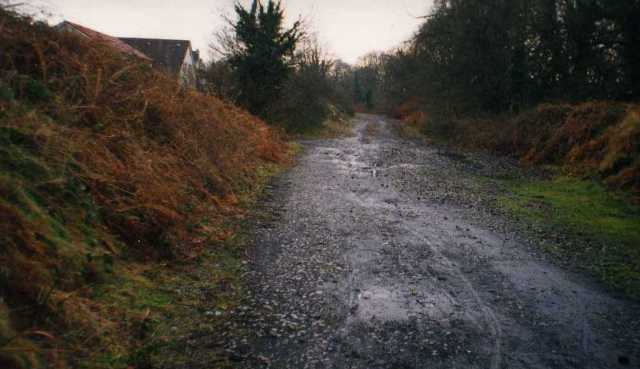 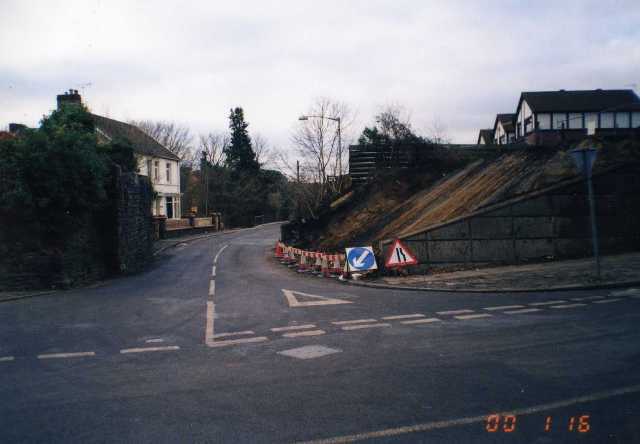 The following photographs are taken before and after the Ffald bridge was demolished in the middle of January, 2000…some are taken on top of the bridge…there is another bridge across the road these days, it is part of the Taff Trail cycle track, this runs along the old railway track.The older pictures were lent to the site by Robert Amos of Nelson…the newer ones were taken May 28th 2009…to show the difference nine years have made.